iOS brings a really cool feature that enables users to install any third-party keyboard on their iOS device. 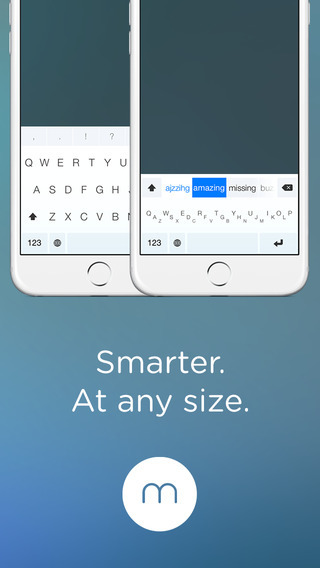 Right after the release of iOS several third-party keyboards were made available in the App Store for download while many others are on the way. While installing new keyboard on an iPhone or iPad, you have to do a little more than simply installing your favorite one from the App Store. In this post we will show you how you can add any third-party keyboard for iOS 8 on your device. 1. After downloading the best third-party keyboard for iOS launch the Settings app on your device. 2. Next tap on ‘General’ option and then look for ‘Keyboard’. Tap on it. 3. On the next screen you have to tap on the ‘Keyboards’ option and then ‘Add New Keyboard’. This will take you to a page that will list all the new keyboards you have downloaded. Just select the one you want to enable. 4. Now you will be back to the ‘Keyboards’ screen. Here tap on the keyboard you just added and from next screen turn on the toggle for ‘Allow Full Access’. Please note that by allowing full access you are allowing the developer to transmit sensitive information to the developer of the keyboard. However without activating this option you won’t be able to use this new keyboard system-wide. After you are done simply access it by tapping on the ‘Globe’ button on the on-screen keyboard. That’s it! Now you will be able to use the keyboard anywhere you want. If you want to remove any third-party keyboard that you previously installed and enabled, you can do it through the Settings app as well. Here’s how. On your iOS device open Settings > General > Keyboard. Tap on ‘Keyboards’ and then ‘Edit’. Remove the keyboard you want to delete.